Mortgages during and after an Economic Collapse? Ferfal, here is my everyday carry story. I am a 35 year old father of 4 living in Colorado. One night last summer I took my family to the sushi restaurant located at a strip-mall near our house. We live in a nice neighborhood and could have walked to the restaurant, but our youngest child was just over one year old at the time and it was easier to drive. We met my mother-in-law and her sister at the restaurant. We were having a fun dinner – we tried the Miso soup and had just started passing around plates of sushi when my one-year-old started making a little too much noise, and my mother-in-law decided to take him for a walk outside. We were seated by the large windows that spanned the entire front of the restaurant and I could see the two of them playing on the sidewalk outside. I was facing the front door and the windows that extended out from the front door, on either side. Suddenly, a middle-aged women walked into view from the left of where I was seated and leaned heavily against the glass window with a loud thud. Her hair was a mess and her makeup had been spread around her face by tears and the wiping of dirty hands. She was talking on a cell phone as she leaned against the window and she looked very distraught. I noticed my mother-in-law waiving her hand in a back-and-forth motion, signaling for me to come outside. She was holding my one-year-old in her arms. I ascended to his level at the top of the steps and said “hi” and shook his hand. He explained he had found this woman crying and asked if he could help. She seemed intoxicated so he called a cab. He asked me to help him get her into the cab when it arrived. I looked over at the woman and I could hear her telling the person on the other end of the phone line that she was going to kill herself. She was obviously intoxicated and very emotional, but her speech was clear because she was speaking in an elevated tone of voice. Time seemed to slow down as I became very aware of the cell phone in my left and the pocket-knife (a little Spyderco Dragonfly) in the front-right pocket of my jeans. When I looked down at my phone, the young man lunged for it and missed as I pulled it away, spinning counter-clockwise and pushing him away from me with my right hand. Upon missing the phone, he stumbled to an upright position on the steps and then lurched past me, back in the direction where he came from, and stopped about ten feet away. I could sense, without seeing, the distraught lady behind me to the left and my mother-in-law with my one-year-old directly behind me about twenty feet or so. I vividly imagined, like a daydream, the young man rushing toward me, my right had drawing the knife from my pocket, unfolding it with my thumb and driving it into his chest. The thought made me cringe and my mind raced as I tried to decide what to do next. I wanted to call 911 to help the distraught woman, who I believed to be mentally ill or intoxicated or both. I did not want to have to stab the young man. I drew and unfold my knife while simultaneously raising the phone in front of me to dial 911, such that I could see the young man in front of me as I did so. I got the 911 dispatcher and announced, so that she and the young man could hear me, that I had a knife in my hand because the young man threatened to stab me if I called 911. I explained that a woman needed to be taken to the hospital because she seemed intoxicated and she threatened to kill herself. The dispatched asked for my location and I explained. The young man looked nervous and he turned to his right and started walking away, then he moved toward the woman and said “tell your son I’m sorry.” Then he turned around and walked away across the large parking lot and across the busy four lane street in front of me. I noticed for the first time that he had a red backpack on, the type that is just a nylon bag with strings as shoulder straps. Within minutes, several police cars and an ambulance arrived. Two female police office stepped out of their cars, and one asked me to identify myself. I explained that I had called 911 and that I had a knife in my hand, which I showed her by holding it between my thumb and forefinger with the flat of the blade and handle exposed to her for maximum visibility. She put her hand on her pistol and told me to put the knife down. I slowly set the knife in front of me on the concrete sidewalk. She carefully picked it up, folded it, and put it on top of her patrol car. She told me to sit down and asked me questions in a very demanding tone. She asked for my driver’s license and I handed it to her. She asked me to explain what happened several times and I did so, at one point she asked me to stand up and show her where the events had taken place. I felt conscious of the fact that I was wearing a t-shirt and jeans – I felt like if I was better dressed she might have treated me better. I saw two or three more patrol cars arrive, and the young man was let out of one of them. A male officer arrived and told the female officer he would take it from here. “Well, if there are, then that’s how the human brain works because I’m trying to explain it clearly but parts of it seem like a blur,” I responded. “I don’t think he actually grabbed my phone,” I said. “I believe you,” the officer replied. “I don’t want to press charges. I was afraid he would rush me and didn’t want to stab him, so I showed him my knife and called 911 at the same time,” I explained. “I asked him why he didn’t want you to call 911, and he didn’t have a reason – I don’t think you did anything wrong,” he said. By that time, my mother-in-law and her sister had taken the kids home, and only my wife was waiting for me. We drove the short distance home and I gradually relaxed as the adrenaline worked its way out of my system. Nice story man, you won! 1)The use of the cellphone to call for backup and having it with you, even when going out for a quick bite. 3)Realizing you need more of a fighting oriented EDC knife instead. I would recommmend a Cold Steel Voyager rather the Buck Redpoint though. 4)Finally concluding that yup, carrying a gun is a good idea. 5)Bad things happen when least expected, close to home, when doing "normal" stuff. 6) One last comment, next time remember to put away the weapon (knife or gun) before cops get there. That's how people get shot. Very interesting documentary about gold, highly recommended! Do you have an interesting EDC related story to tell? Here’s your chance to win a fancy Exotac FireStarter! 1)Write your story in 500-1000 words. This is just a general guideline, you can use more or less if that’s what you need to tell your story. 2)You have until Sunday, April 28th to submit your story (my email can be found on the right column, in red) That will give you the weekend to sit and write a bit. I’ll read them all and announce a winner on Tuesday, April 30th. The contest starts as of right now so if you have something in mind start writing! Just another fan of your blog and videos here. I really appreciate your reasonable and realistic take on things. In my current situation, I'm not as prepared as I eventually want to be, but we're getting there steadily. I'm living in a small apartment in a big city and I'm still recovering economically from a divorce, so that limits some things, but there is one thing I'm doing that I wanted to get your thoughts on. I just refer to it as 'pipelining' (in a reference to how most computer CPUs consume instruction codes) and what I mean is the practice of having 2-5 months worth of all the things we consume in storage here in the apartment, and when needed, putting the oldest item to use first, hence the "first in - first out" pipeline. With the exception of some perishables such as fresh meat and vegetables for upcoming meals, which we tend to buy just a day or two before use, we've slowly accumulated a stock of pretty much everything one buys at a store from dry and canned food stuffs, to other goods like storage bags, wrapping paper, soap, laundry detergent, cleaners, tooth brushes, paper products, and so on and on. We've really gone out of our way to identify everything that might be applicable, even if they are items we use only irregularly. When we run out of something, we check storage, pull out another one if we have it, and add it to the shopping list - so that when we go shopping, we are mostly replenishing storage and not stuff in current use. Ok, so this is all probably pretty basic preparedness stuff - the idea being that if there is an interruption of any various sort - unavailability at the store, sudden price controls, banking system holiday, gas shortage or transit outage, etc... that we can just stay tight at home and ride out the storm. Since all of the items being purchased will wind up being used or consumed in the near future, we don't feel like it's a waste of money on something speculative. Given that we're in an apartment, the 'depth' of our 'pipeline' is limited by storage space. In the near future, we're likely to move outside the city and into a small house, and should have considerably more storage capacity. What I wanted to ask you was if you had some thoughts on just what is a good 'depth' (in time) for 'how deep' to make our pipeline. i.e. at what point of stocking up, does the value of doing so start to really diminish? Hi Matt. I very much agree with your line of though. I too lived in an apartment for years at a time and understand the storage space limitations. The greatest problem I had was finding ways of storing water. We had experienced both power outages and water shortages and by far what worried me the most was being without water. You thinking spending a couple days without power is bad? Try turning off the water supply for a weekend and see how that goes. Knowing well that water is a top priority what I did was store it in 2 litter soda bottles and just using up any free space I could find, from under the bed to behind furniture, under couches or corners in the dressers. As you correctly point out, these are supplies that you will use anyway, dry food, soap, detergent, toilet paper, so having them sure isn’t wasted money. In fact, if you stock up you can save money by buying in bulk when you find good deals. What’s a good “depth” of supplies in term of time? One month as minimum, with six months being ideal. And if you can extend you dry food staples so as to cover 12 months in a worst case scenario, that would be perfect. I believe that a month is the minimum you should aim for in an apartment , at least for everything other than water. You just cant store that much water in an apartment. In an apartment, I’d go for at least two gallons per person as a basic minimum so as to have enough water to drink during short term emergencies. A month would buy you enough time for shelter in place scenarios which are generally short term events. Ideally you would have more, given that you have space for storing it. Six months worth of supplies would buy you time during recessions, job loss, rioting and problems in the supply chain during longer term emergencies. The logic here is that if stores and groceries aren’t working normally after a month, let alone two months, you have to plan on relocating anyway because things are about to get very ugly! The supplies will buy you time to get things sorted out without worrying about keeping your family fed, clean and healthy. A cash stash will help keep power, heating and other bills paid, cover any holes in your preps that you missed or procure transportation and relocation funds. Any other suggestions, leave them in the comments below! As I watched the awful images and videos of the terrorist attack in Boston I kept thinking of how everyday carry items that I often mention here as part of a well rounded survival emergency kit could have come into play. 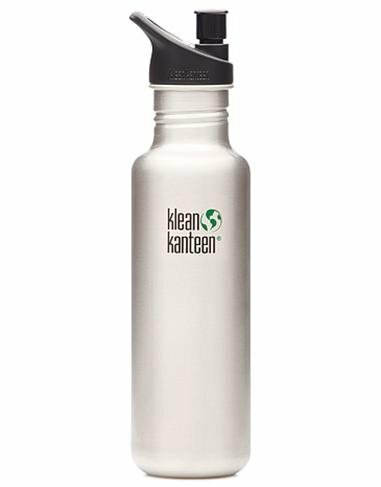 1)A bottle of water isn’t just good for drinking even if that is the most common use for it. It can be used to clean up wounds and wash out dust and debris from your face , especially your eyes. 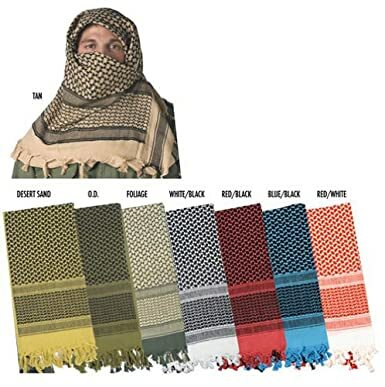 2)A big scarf or shemagh can be used as a pad to apply direct pressure on a wound or used to improvise a tourniquet. It can be used along with water to clean up some too. 3)A simple hank of 550 paracord can be used as tourniquet as well. A Canadian jam knot can be done quickly and tightens nicely as you pull. 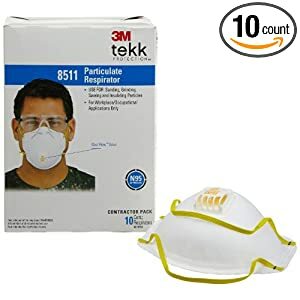 4)A collapsible respirator can be used to keep the dust away. Combined with safety sunglasses (which may save your eyes from shrapnel) and latex gloves it allows you to help bleeding victims. 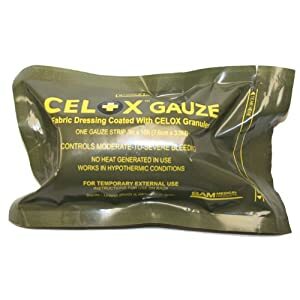 5)Celox Gauze is a hemostatic agent that can stop intense bleeding like the ones seen in the Boston Marathon victims. Stopping the bleeding will make the difference between life and death for some of these people. I believe that these should be included in your everyday carry bag, given how invaluable they are when facing different kind of disasters and emergencies. Has the terrorist attack in Boston changed some of your opinions? Anything you decided to do or carry because of what you’ve seen? Leave your comment, I’d like to read your opinion. Cellphone service was shut down in the Boston area to prevent any possible remote detonations of explosives, a law enforcement official said. The official was speaking on condition of anonymity because the investigation was ongoing. If you only have a cell phone and no land line in the Boston area, you are now cut off. I’m watching the news right now. My prayers go out to all the victims of this horrible attack. My parents were in Boston yesterday, they just called to tell me about the attack. I lived in Boston when I was little, my best childhood memories. Indeed, they bring cellphone communications down in case there’s more cell phone activated bombs waiting to be detonated. During disasters you just don’t know. You still have smart phones with wifi that could use skype or send email if you find a working hotspot, so its worth trying that as a mean of communication. I know that a lot of people used just that after the earthquake in Chile when cell phones lines weren’t working either. I want to start of by saying I'm a big fan. I watch your videos almost everyday. I am a highly trained member of the usa army. I am very big on self defense. I am currently stationed in the usa and visit/ communicate with my family everyday to make sure they are ok. I am deploying over seas at the end of the month. I offered to buy each member of my a family a firearm and send them to shooting class. They have all declined saying they don't believe in guns or weapons for that matter. And they believe they don't have to develop survival skills. My question is do have any ideas or tactics on how I could encourage them to take self defense more seriously or any ideas at all on actions I can take to make sure they are safe before I deploy and while I'm away? This is a common problem that many readers experience themselves. It seems that for the lucky ones, the family, parents or spouses, simply “tolerate” their little hobby. They are not at all involved but see it as harmless so they put up with it even if they have no interest in it themselves. For others, they end up either not doing much preparedness or hide it from their families that see it just as a waste of time and money. It seems that few are lucky enough to have their family on board. The problem is that for some important preparedness steps such as home and personal security, you need your family to be on board. It’s of no use to have an alarm, good locks and doors if the rest of the family won’t bother to locking the door every time. Family Preparedness should be a team effort and it is important to have the on board. If you’re the only one that remembers restocking the food you all eat, the batteries that others just use up, it can become frustrating to have all the weight on your back and no one helping. Something along those lines happens with firearms as well. You may be a good shooter, get the training and know what to do, but that wont help a family member that doesn’t know how to handle a gun and is alone to deal with an intruder. Right after getting married I explained to my wife where I was keeping my Glock and how to use it. She listened but I knew guns weren’t her thing. A few weeks later I came back home to find the Glock on the table next to my wife. Someone had tried to open the front door and she went for the gun. Luckily the door was of course locked, and whoever it was didn’t try to force it beyond that. My point is, in some cases its only when an actually incident hits close to home that people react and start taking it seriously. My advice would be not to force it, and try going little by little. It’s a good idea to start with an informal plinking session if there’s a fear of guns, and bring up and mention whenever you see or read about a crime incident in your community. This can be very effective. Some people just unconsciously seem to ignore crimes and other violent incidents around them, and its only when you start mentioning it that they join the dots and realize “hey, we better do something to improve our security situation”. Being overly dramatic or going for fear mongering can have the opposite result, or bring unnecessary fear and stress to the family. Just keep it real, go little by little winning one small battle at a time. Regarding other aspects of survival and preparedness try finding common ground. Going out for a walk is a nice family activity. Soon enough you find yourself doing nicer hikes with them. Suddenly that jacket isn’t as warm or that shoe isn’t as good for longer walks as initially thought. In terms of supplies, it makes sense to buy in bulk when cheap and stock up, and nothing beats producing a can of tomato sauce of roll of toilet paper from your stock when everyone else thought you had run out of it. Its in those moments when the family sees the wisdom in it. In your case, you do have a leverage tool- You can use guilt to at least get away with some of it. Oh, yes, its a cheap shot but hey :-). You’re deploying anyway, right ? I would go for something along these lines: “I’m leaving soon and as a favor I would feel much better if I know you can at least protect yourself. Just a trip to the range for some basic instruction and you can just leave it in the safe after that, but I’ll feel better knowing that you not only have it, but at least learned its basic handling and fired it once."